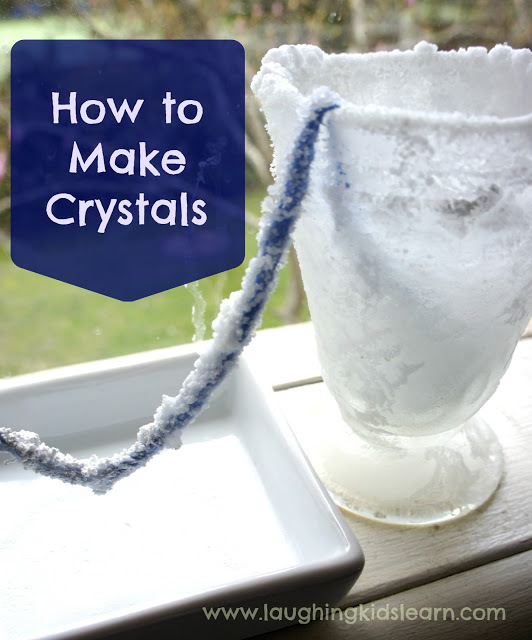 Do you know how to make crystals? It’s actually quite easy to do and children love observing the scientific changes over time. You only need a few commonly found household ingredients. I remember when I was in junior school we learnt how to make crystals. The set up so easy and it was the topic of conversation over the course of the week as we all watched the crystals form and seemingly grow before out eyes. Begin by filling the glasses with warm water and stirring a teaspoon of Bi-Carb soda into each. 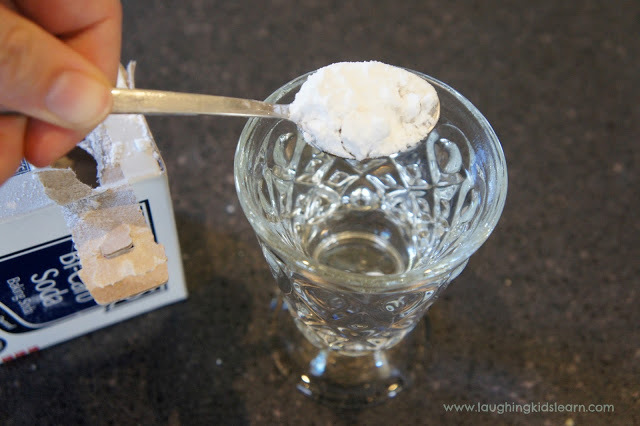 Continue to add teaspoons on Bi-Carb soda until it will not dissolve any more. 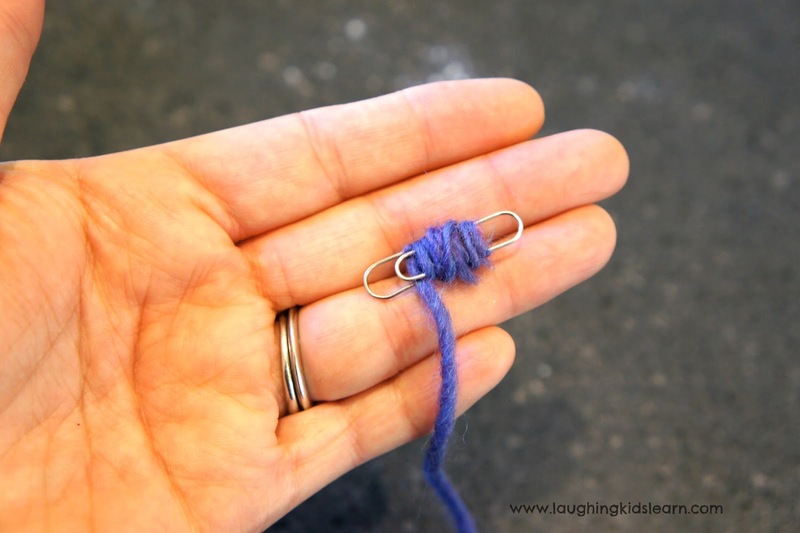 Slide a paper clip onto each end of the piece of wool or string. Don’t wrap it around the paper clip (as shown) as it will struggle to sink. Just slide it on so that it acts as a weight and keeps it in place. Set everything up as shown above. Be sure to have the string sag in the middle and a tray of some kind ready to catch any drips. 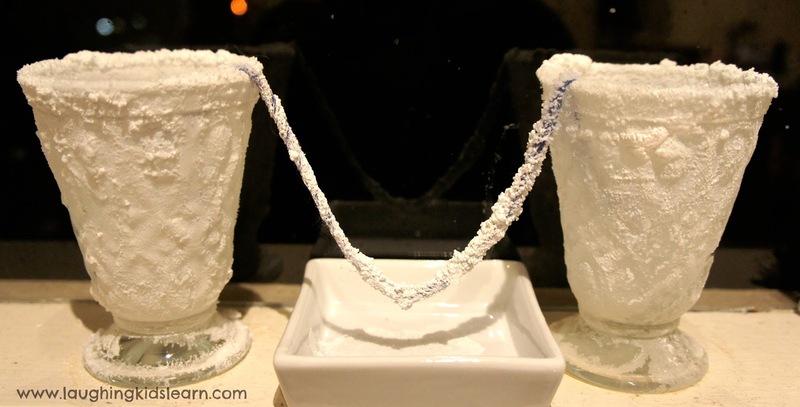 The string will soak up the liquid and begin making crystals over a period of a week. This is what it will look like after a week! If you follow this method of making crystals you will possibly find that the glasses themselves develop crystals. Don’t worry, Bi-Carb soda will not cause any damage. These glasses washed up bright and sparkling from the Bi-Carb soda. The wool soaks up the liquid and once the water evaporates all that is left is the crystals from the Bi-Carb soda. I think it’s pretty cool and a great way to make daily observations. 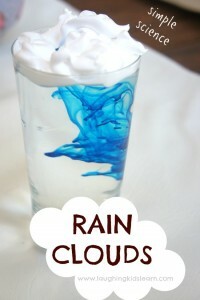 Would your children enjoy this type of science activity? That is so cool. We are doing it this week. Thanks for the inspiration! AWESOME! I remember making salt crystals using regular old salt but our results were nothing like yours using bi carb, that looks spectacular! We HAVE to try this. This looks awesome! Could we add some food colouring to make coloured crystals? so cool! 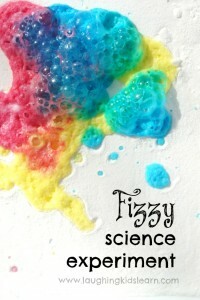 My kids love a bit of simple, yet magical, science! Love them Kate…such a great explanation too!! I love this Kate! 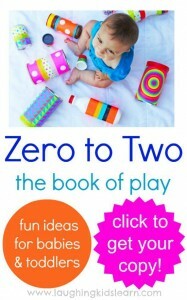 We are going to give this a go so thanks so much for sharing. I’ll be featuring this on The Sunday Showcase this weekend. Thank you for linking up! Such a neat idea!!! 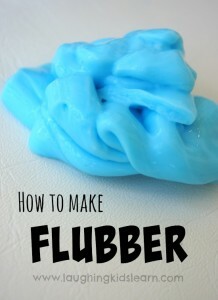 Pinning so we will do this later – my boys would love it. Such a great idea, I will pin this so I can do it with my son when he’s older. 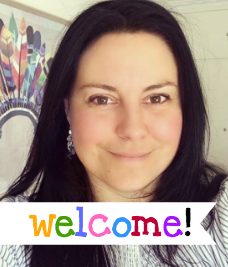 Thanks for linking up for Mummy Mondays. Kate this is so cool! We tried something similar recently with just salt and water – it didn’t turn out nearly as well. Bi-carb is definitely the way to good. We’re going to give this a try. 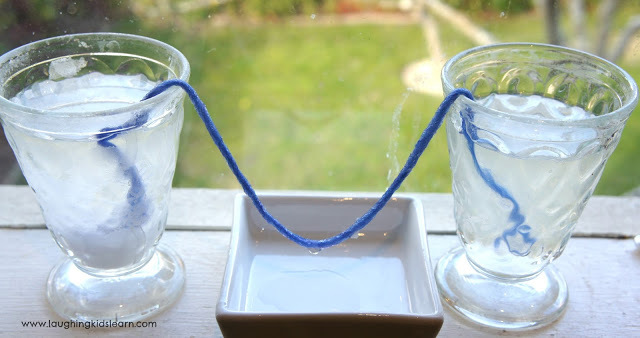 What a fun science experiment. I feel like doing this just for myself! I’m a student from Taiwan. I want to ask you some question about this experiment. No freezing but the ingredients over time crystallise. So cool! 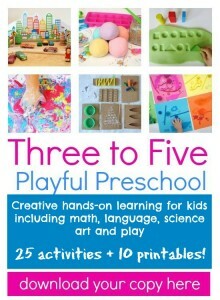 can’t wait to give this a try with my girls.